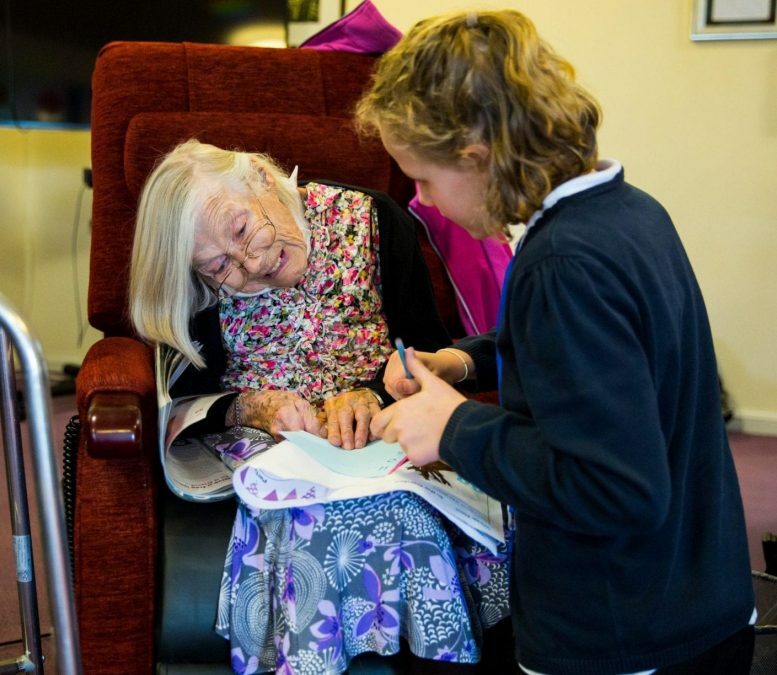 Primary school pupils from Carlton are involved in a pioneering project enabling them to learn about hospice care. 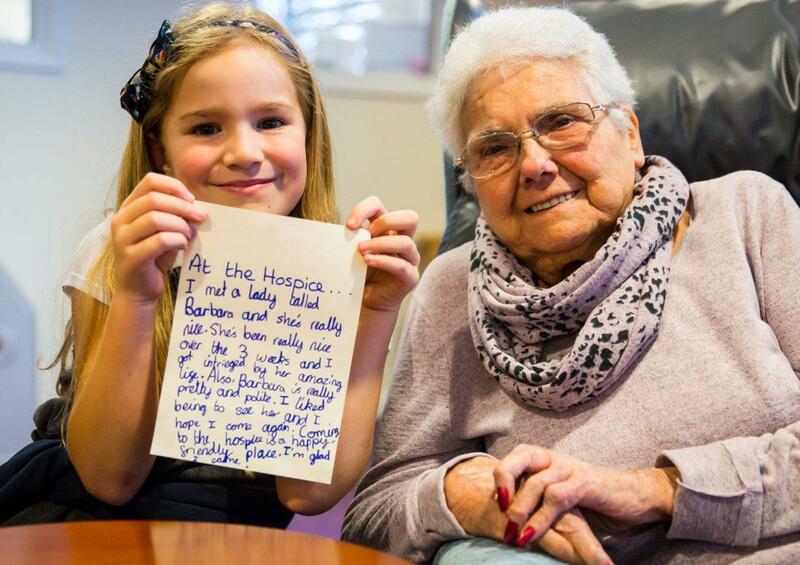 Children from Porchester Junior School paired up with patients at Nottinghamshire Hospice in Mapperley and were tasked to work together on creative activities and sharing stories for the project. The pupils, aged eight and nine, visited the hospice for three consecutive weeks, each child being partnered with a specific patient. Together they worked through structured activities designed by Nottinghamshire Hospice Occupational Therapist Kerry Lovell. On their final visit, children and patients worked together to write poems which the children read out to an audience of patients, staff and parents. The children also spent time with other teams at the hospice, including fundraising and finance, where they learnt how to use a money counting machine. They also climbed up to the building’s historic tower which has views all over the city. Liz Morgan, clinical nurse specialist at Nottinghamshire Hospice said: “We have had schools visit the hospice before for events and picnics but this is the first time we’ve organised a structured series of visits like this, where children pair up with a specific patient. “The scheme was designed to fit with the school curriculum because it helps the children learn about loss. Nottinghamshire Hospice provides palliative care and support for people with a terminal illness throughout Nottinghamshire in the last year of their lives and support for their families and carers.